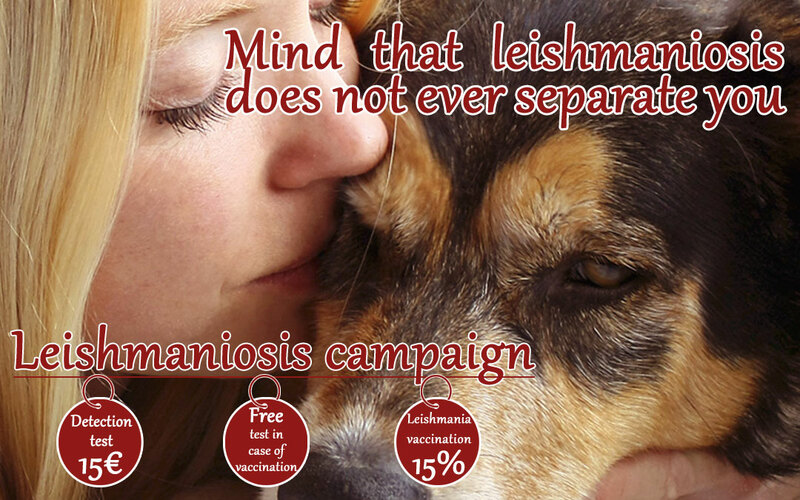 During the months of February and March we will take the campaign against leishmaniasis in effect. During this time we offer a price for the test for the early detection of Leishmania of 15€, and fully free if you vaccinate against this disease. In addition, in order to properly protect your pet, we will make a 15% discount on this disease vaccination.